- We blast your single on our Twitter & Facebook Page Once a week for 4 WEEKS STRAIGHT! - We blast your single promo cover/video on our Instagram account. 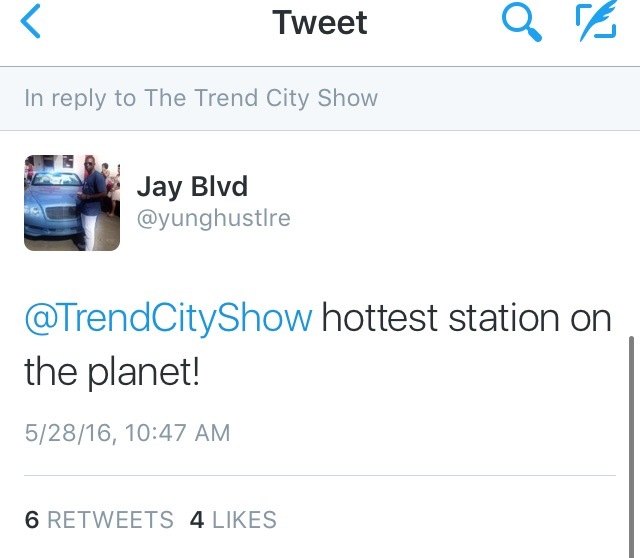 - A single of your choosing from the Mixtape featured on "Trend City Radio" Live Show for 4 weeks.